Marco: She's hot, but she thinks she's like the most talented person in the school. Victor Tavares: So maybe she is. Q: Does anyone from the original movie appear in this remake? I haven't seen the old version, so i can't compare it to the old version. Before i went in i wasn't expecting much, to me it looked like a hip-hop dance film, which would be pretty similar to the likes of Step Up 2: The Streets. But i was pleasantly surprised to see it was not another remake of Step up, but equally disappointed to find no real interest in this film. Not only did two people i went with fall asleep, the characters were so unlikeable, i felt myself coming out the cinema wondering why i spent my time even going. Strip away the fancy lighting, music and camera work and you're left with nothing less than a cast of one dimensional, mundane, and unlikeable characters. The movie is only 90 minutes long and with 10 main character story lines to follow, there wasn't much depth to them. I don't think i can even name any of them. 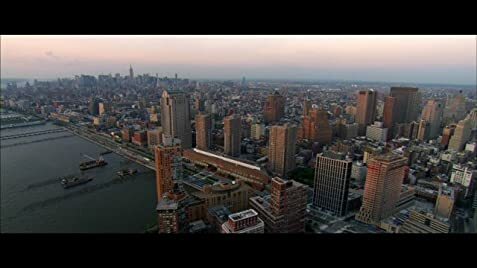 I don't even know why any of the characters would want to go study at this preforming arts school to start with, none of them seemed to improve during the four years they study there. And also a big emphasis is made how lucky they are to be in this school, yet most of the main characters leave the school before the four years is up...i didn't get that point? And the most important disappointing factor in the whole movie - there was no hot male lead! Only one guy came close and even then he wasn't much of a looker. Definitely a thumbs down for that aspect of the film. 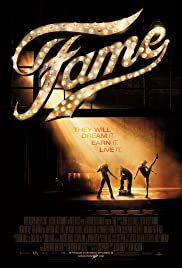 So overall Fame is not as dazzling and inspiring as it may seem and it was pretty much a waste of 90 minutes of my life.